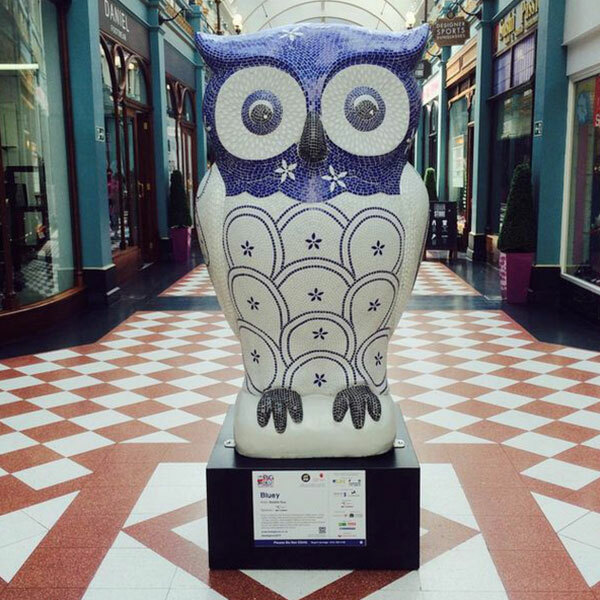 Bluey the owl was inspired by the diversity of Birmingham’s culture. 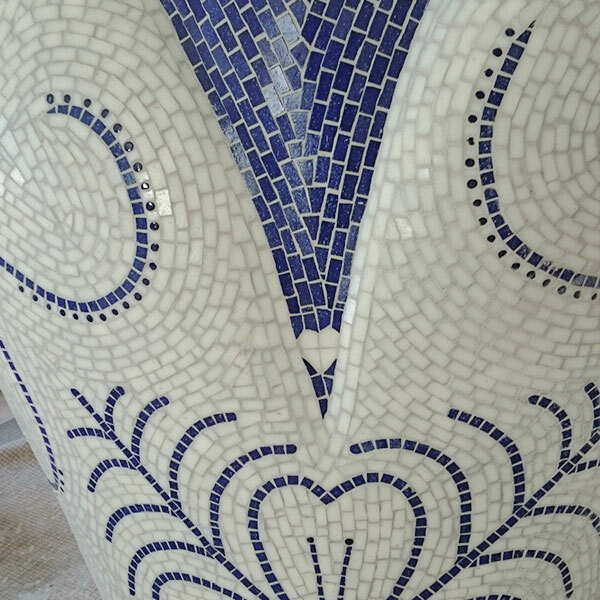 Blue and white patterns feature in different cultures – Chinese porcelain, Asian temples, Delftware, Moroccan tiles, Staffordshire pottery. Many cultures welcome guests with tea of different favours, and classic blue and white china cups have an enduring cultural appeal in this country. ‘Bluey’ the owl was one of the owls part of The Big Hoot – a public arts trail in and around Birmingham, summer 2015. 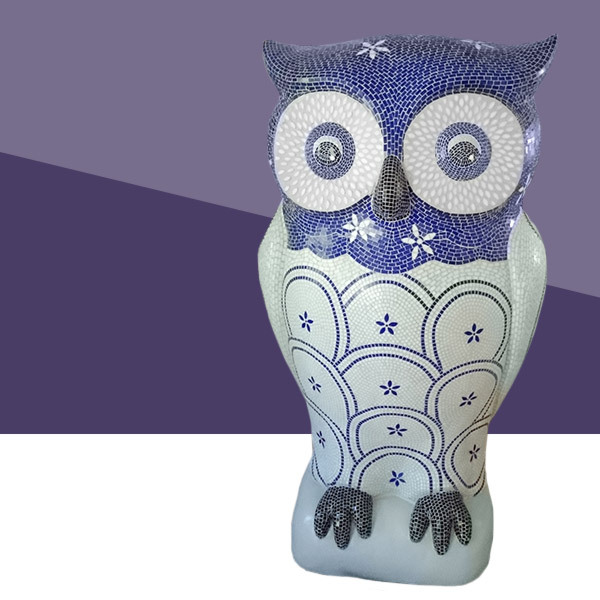 He was made into a limited figurine, and was voted in at 15th favourite owl out of the 89 owls by a public vote. He was sponsored by Harrow Green during the event. 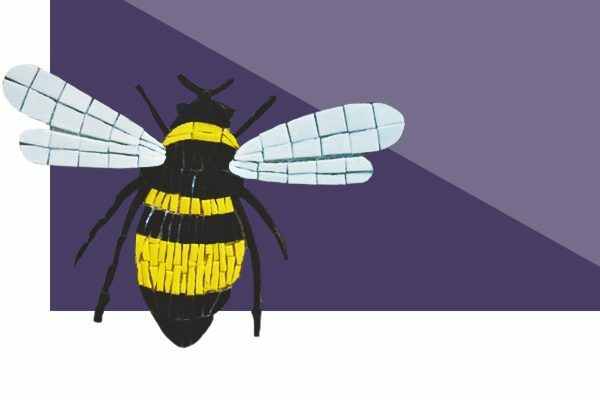 Bluey was situated in the Great Western Arcade, Birmingham.